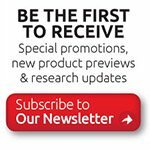 Baton Rouge, Louisiana – AbraxSys Corporation continues to expand its line of high definition widescreen industrial grade products with the coming release of an ultra-rugged 17” wide video format line. These very rugged designs feature WUXGA 1920 x 1200 resolution and are available with an optional touch screen. 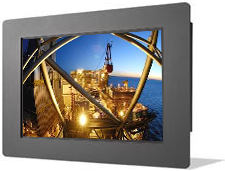 Designed for 24/7 operation, these new 17” 16:10 LCDs can function in operational temperatures of -20°C to +70°C with wider operational temperatures available. The series has a standard brightness of a remarkable 600 nits and an optional 1000 nit high bright version. Environmental sustainability remains an important criteria in the company’s designs. Industrial applications that are designed for vehicles, harsh hot environments, or outdoor applications make special demands. Extreme environmental conditions – operation in high or low temperatures or thermal shock, high humidity or electromagnetic disturbances and startups in low temperature – account for most of these demands. Since system failures often result in high costs, the system must be very reliable under every possible operating condition, and it must provide the highest level of failure tolerance. Wide Temperature Testing ensures the system's reliability before under extreme operating environments. AbraxSys starts by using only pre-qualified components to operate without failure in extreme temperatures. It is also mandatory that each model undergoes a rigorous testing for operation under extreme temperatures. The test ensures that the selected product continues to operate properly under two extreme environments; low-end and high-end. 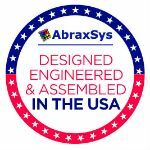 AbraxSys products, when configured correctly, are perfect for operations in environments where heat, extreme cold or thermal shock is frequent. Some optional configurable add-on features include various dimming controls, 12/24V DC * 9-36VDC * Universal AC power supply possibilities, touch screen technology, and extended temperature ranges, sunlight readability (1000 nits) high-brightness technology, conformal coating of all internal electronics, private labeling, plus much more.